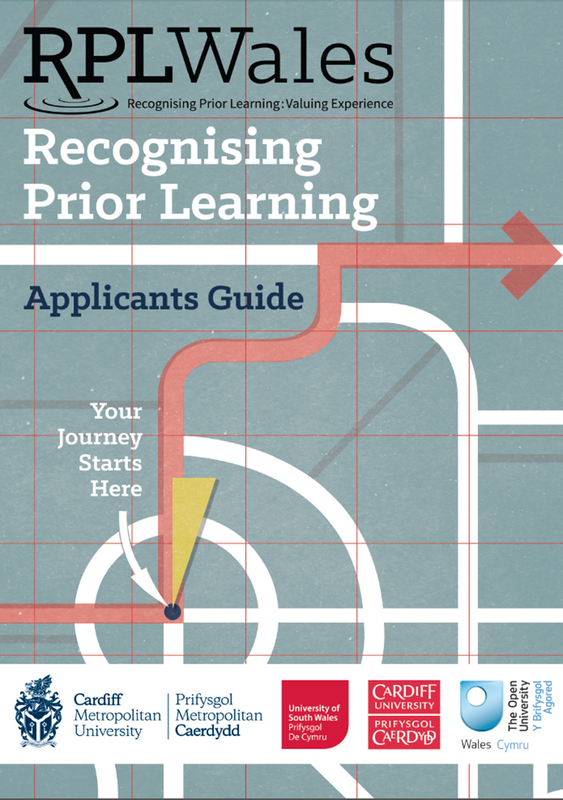 This guide outlines the process of recognising prior learning to help potential students understand what it is and how to start. 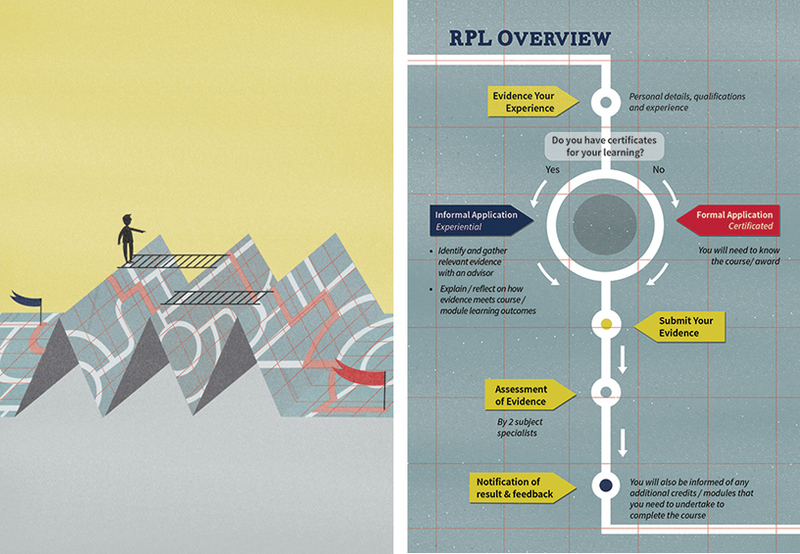 It was designed as a partner to the Introductory Guide and the central concept was to use the language of maps to show students that they could find their individual route through the process. 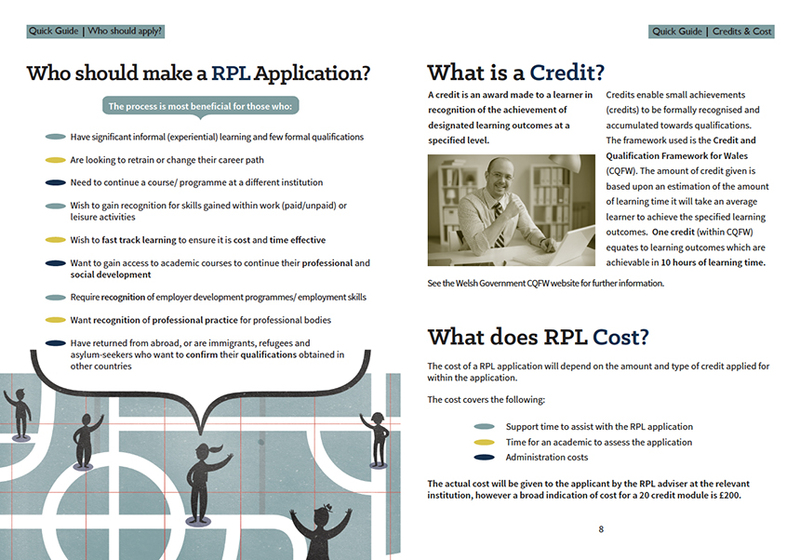 The document was designed and illustrated by Chipper Designs, with bespoke imager used throughout to enliven the information and help unpack the process for the prospective student. The project was commissioned by HEFCW (Higher Education Funding Council for Wales) and completed in partnership with Cardiff Metropolitan University, University of South Wales, Cardiff University and The Open University.